Selling a business is a deal like no other. As a business owner, you’re faced with the mammoth task of keeping your business running at full speed, while also marketing the company to potential investors and preparing for a transition from an emotional and financial perspective. Many entrepreneurs only go through this process once in a lifetime — so it’s crucial to have skilled professionals who know the ropes on your side. “A team of experts can increase the odds that you walk away a real winner,” says Gary Ampulski, Managing Partner of Midwest Genesis. 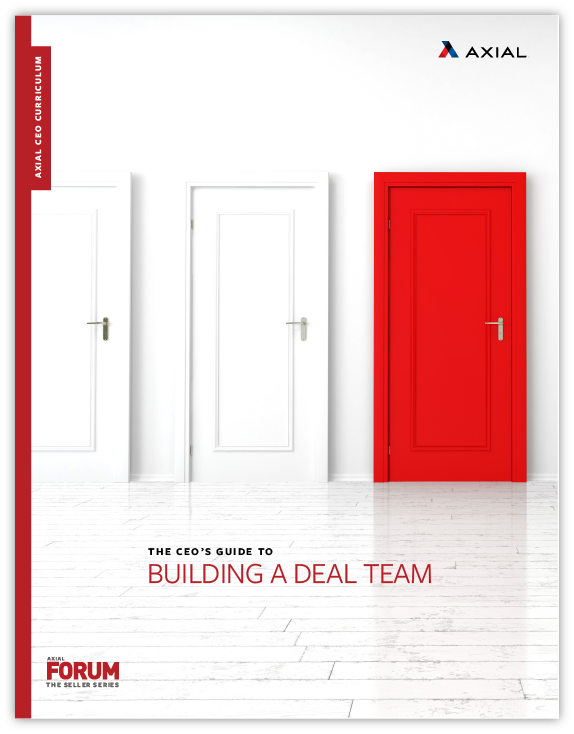 In this ebook, you’ll learn how to build a deal team with both external and internal resources. What roles should your C-suite play in the deal process? What external roles do you need to fill in the deal team? How can an M&A advisor add value to the M&A process?